Token makes it simple for anyone to pick out a thoughtful gift which is then wrapped and delivered within days. The recently launched service has raised $2.5 million in funding. No matter what your love language might be, a good gift is sure to give you that warm fuzzy feeling associated with dopamine or serotonin or whatever doing its thing. On the other hand, a slapdash, poorly planned present can be a downer. Thankfully for those of us lacking in that department, there’s Token. 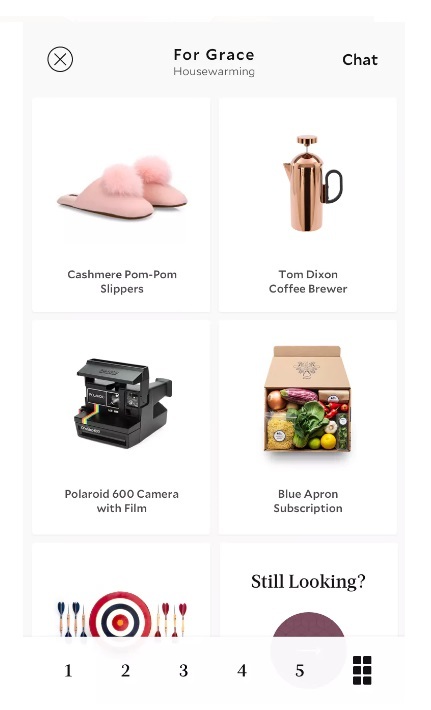 The assistant app service makes it simple for anyone to pick out a thoughtful gift which is then wrapped and delivered within days. They’re on a mission to make the world more generous and have raised a generous $2.5 million in seed money towards that cause. Token delivers its services through an iPhone app, with an Android version currently the works. The app uses a combination of human and artificial intelligence to ensure shoppers find exactly what they’re looking for. Presumably, the AI does the job of categorizing products based on specific parameters and matching them with each recipient’s profile. According to the website, information such as age, occasion, relationship with the recipient, and even personality of the recipient is taken into account. A team of experts trained in cultural nuances and industry specifics uses the data provided by the proprietary AI platform to curate a list of suggestions. It isn’t just picking gifts that Token helps with; the service ensures you’re on the ball from the very beginning of the process. The most important thing it does, in my opinion, is reminding you that it’s time to start looking for something since there’s an occasion coming up. Users can then give the app a general idea of what’s required based on who the gift is for, the occasion, the budget, and preferred style of gift. Token’s suggestions range from big brands’ products to lesser known local experiences. It is free for anyone to use the app’s gift recommendation features. You’ll obviously have to pay to buy a gift and have it delivered. Token takes a flat 5 percent cut on each gift to cover operational costs. According to one estimate, Americans spent $131 billion on gifts in 2014. Clearly, Token is operating in space in which there’s plenty of money as well as the potential for disruption. Giftagram is a similar service that focuses on making it as easy as possible to send a gift. The startup has raised a total of $4.5 million in funding. Then there are personal assistant apps like 24 Me which integrate a gift store for micro gifts. What will set Token apart is its gift recommendations, as well as the timeliness and quality of the delivered product. Beta users on Product Hunt seem to be pleased with how the service has worked out for them so far. By the way, Mother’s Day is around the corner. I have no idea what I’m going to pick out this year, but maybe Token does. This is easily worth a try with all of the holiday shopping days coming up this year. I will try it out. When you have 10 children, like my wife and I, keeping them all straight has been a challenge to begin with. Now, make sure you pay attention to the things they would like as gifts and that adds another challenge to the mix.